Make us a doll that behaves as if it responds to tickling, without it being too creepy. Thanks! Ordinary tap water is broken down into Hydrogen and Oxygen gases, which recombines to be H2O and releases energy instantaneously. Expanding gases propel the rocket upwards – over 200 feet in the air. This tech is remarkably good for throwing plastic rockets toward the sky. It's also very easy to adjust on the fly, which brings us to Lund's Variable Velocity Weapon System, nicknamed "The Big Hurt." The problem with existing weapons firing rubber bullets, beanbags and other crowd-control rounds is their velocity. Anything that is effective at 50 yards may be lethal at 5 yards; anything that is safe at 5 yards won't be fast enough to be effective at 50. 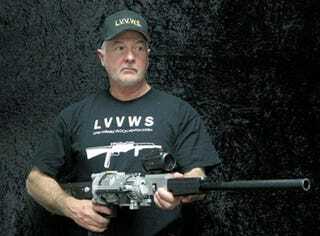 Lund's solution is a weapon that automatically measures the range to the target and varies the muzzle velocity accordingly. So there you have it! Your complete guide for going from making harmless toys to liquefying protesters' internal organs, in just two steps!